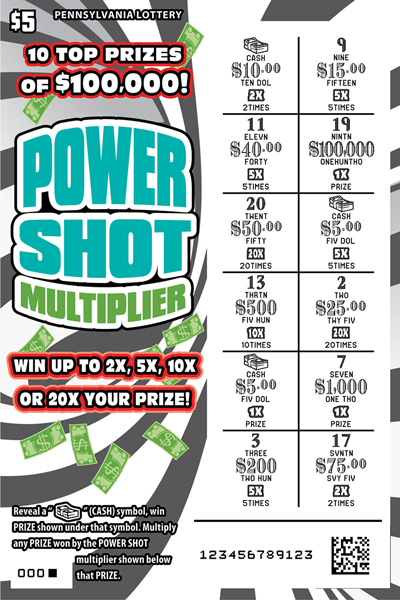 Power Shot Multiplier is a $5 game that offers 10 top prizes of $100,000. Reveal a "STACK OF CASH" (CASH) symbol, win PRIZE shown under that symbol. 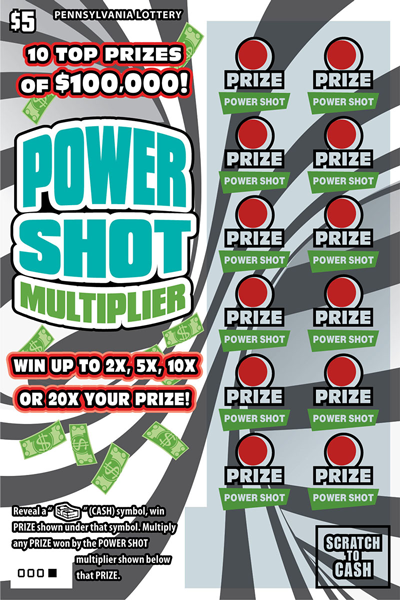 Multiply any PRIZE won by the POWER SHOT multiplier shown below that PRIZE.